Two is better than one. 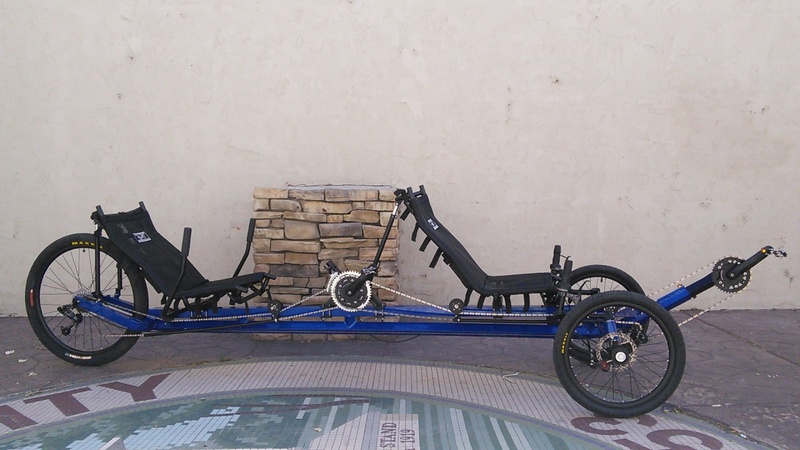 The UTCustom T2 Tandem Trike lets you share the ride and is our most adaptable model yet. 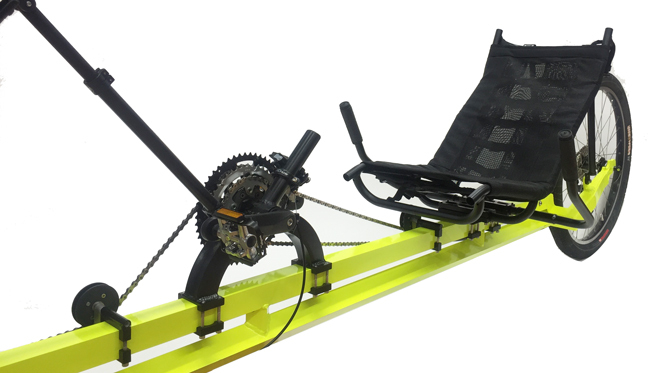 Our Tandem features an IPS (Independent Pedal System) that allows the riders to pedal at their own pace, independent from one another. 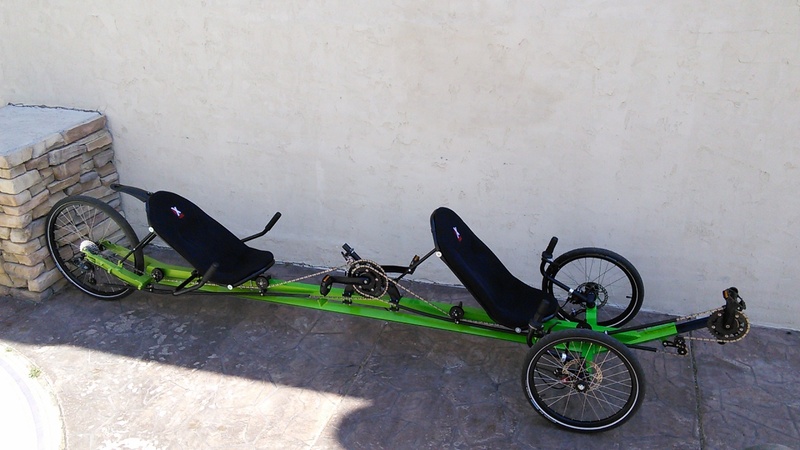 The square frame design allows you to adjust the seat position with ease and also allows us to create a custom configuration based on the riders' needs. 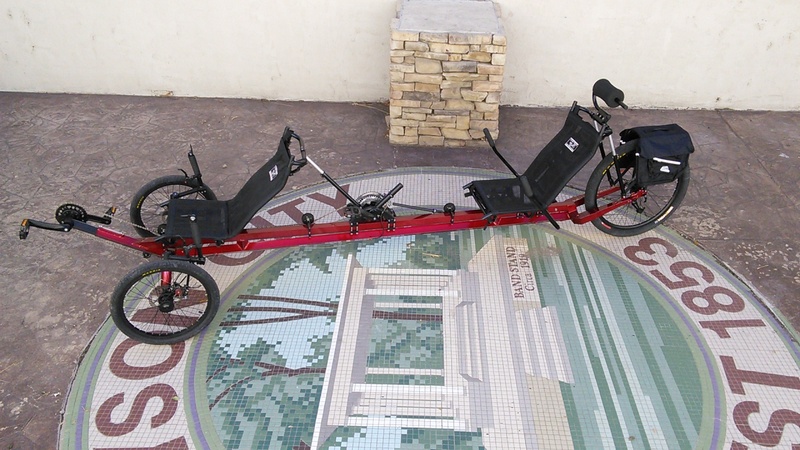 This is the best in-line tandem trike out there and it is incredibly fun to ride. 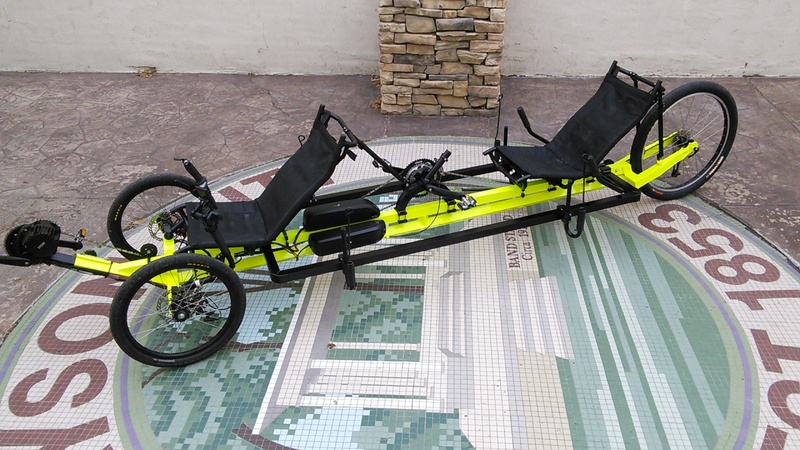 The Tandem II is incredibly comfortable. 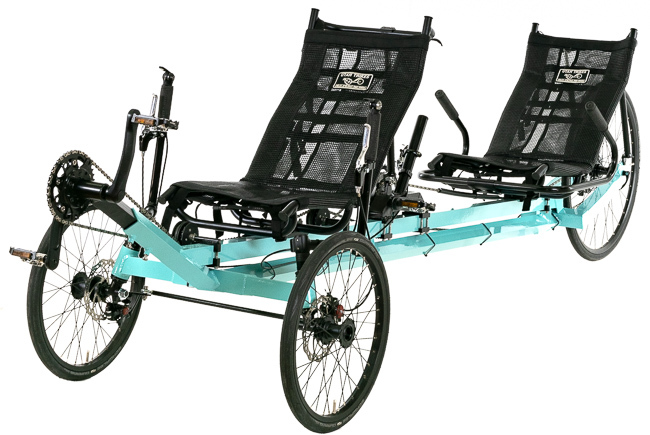 It features our aluminum custom seat frame sided with rear handle bars to increase stability while riding. 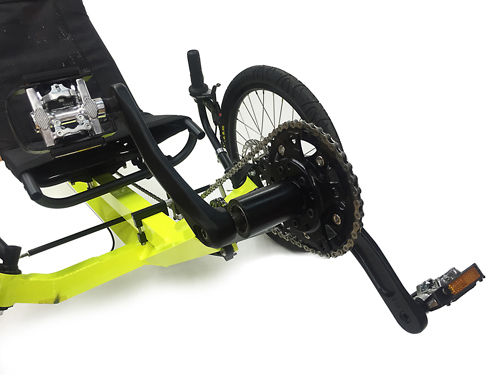 The Seat Mesh includes two pockets and pump sleeve making it easy to store your phone, patches, replacement tubes or anything else for your longer rides. 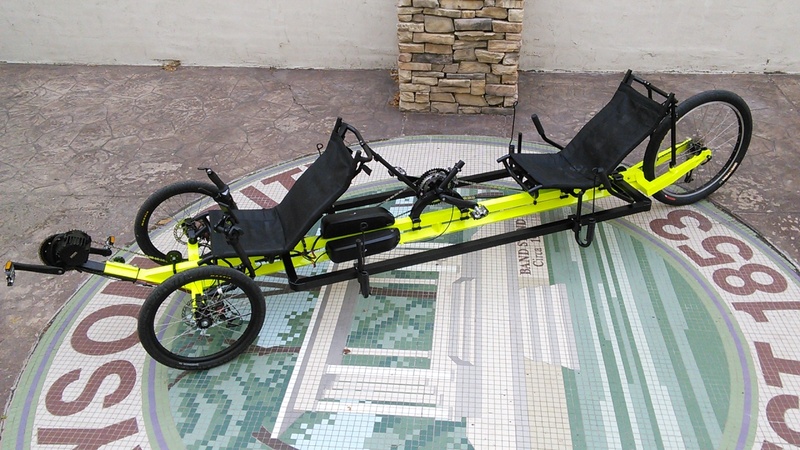 The Tandem II comes stock with 27 speeds giving you the range necessary to climb the steeper hill but still enjoy high speeds. 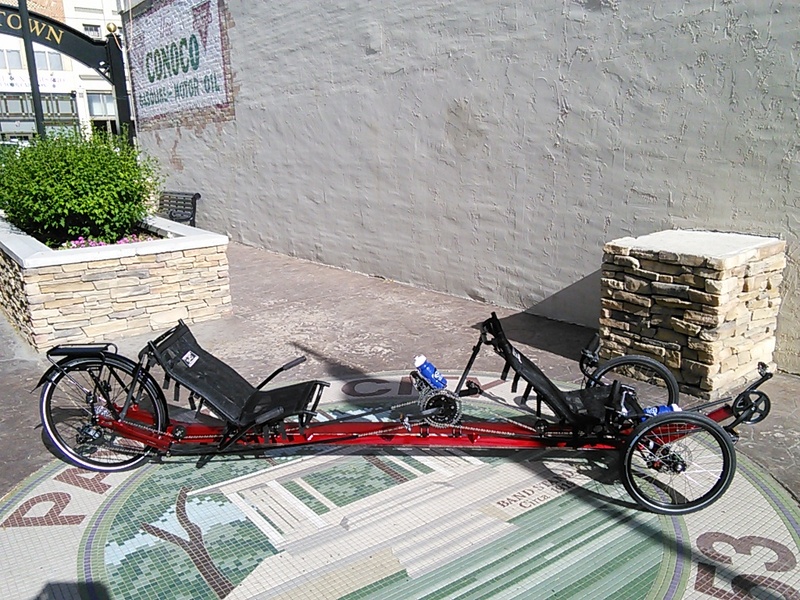 This Tandem is incredibly stable and easy to ride. But be warned, you will draw attention from friends and neighbors.